In construction? 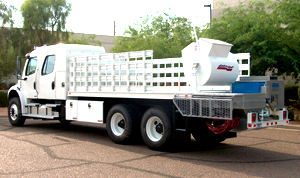 We have the equipment and tools to make your work easier! 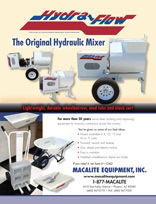 For more than 60 years we’ve built and sold mortar/plaster mixers, pumps and tools to pool plastering, masonry, stucco and drywall contractors. That's longer than anyone else. During that time we’ve learned a lot. That knowledge has helped us constantly improve the equipment and tools we build. Ask around. 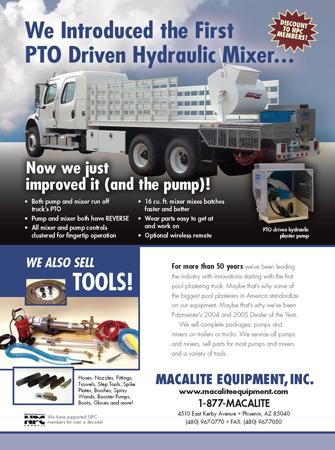 We believe there are no better designed, better built pool plastering and masonry equipment and tools available. And we believe our customers—the guys who give us their hard-earned money—will tell you the same thing. about the pool mixer and pump!